my favorite part of the over head is timonen coming in at the last minute and smacking his face on the post. The Pens powerplay is never going to score again. Bob was interested in that replay. I'm not sure he was convinced he kept it out. DMcGrew wrote: cannot wait for the day Kennedy is no longer on this team. cannot wait for the day when people realize you can't have 12 all-stars taking up your top 12 offensive roster spots. I'll take anyone on our third or 4 th lines over TK. Are they all stars? npv708 wrote: In all fairness, Brooks made sure this was seen. Yeah that seems to be the only way to get one called, so sick of seeing a dump in and watching the guy chasing getting held and pushed on the way in. What happened to the "new NHL"
Pens have this game won. Philly just doesn't know it yet. Let me add my voice to the calls to abandon the 5-forward PP in the hope that together we will create enough noise to reach Bylsma's ears. Rocco wrote: Pens have this game won. Philly just doesn't know it yet. Who was the other dman on the 2nd philthy goal? I'll take anyone on our third or 4th lines over TK. Are they all stars? that's just ridiculous, but ok.
My rule #1 - Never trust anyone who says "trust me." pens2005 wrote: Who was the other dman on the 2nd philthy goalerewski? Martin wandered off chasing a butterfly. Letang had to choose between two people to cover and decided to cover neither. your rule #1 - Never trust anyone who says "trust me." I back up his trust me, so now it's legit...that's my rule! "Oh, that guy in front of the net? Don't worry about him, those two guys at the blueline are way more dangerous!" 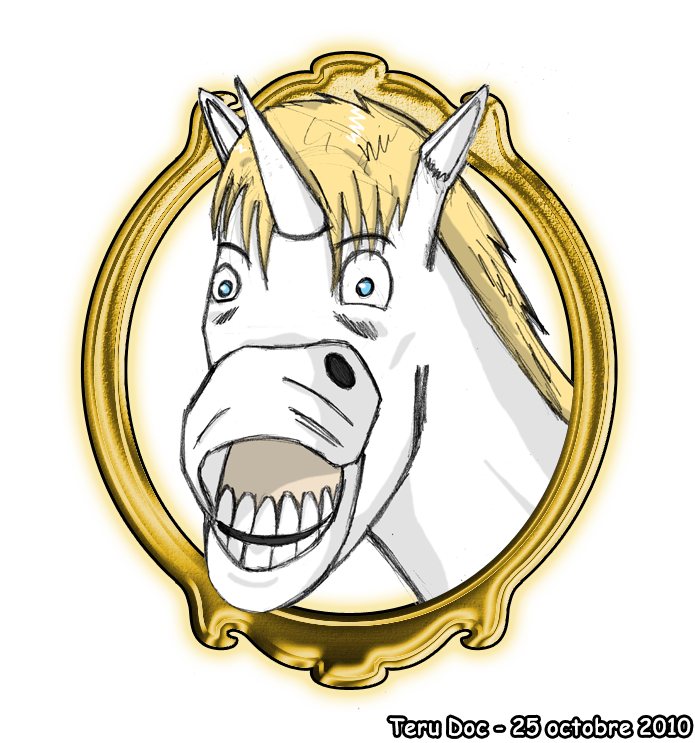 I have nothing to say, so here is a picture of a funny unicorn. Hartnell is all up in Geno's mind again. I don't expect Kennedy to be an all star but at $2 million he needs to do more than shoot at even strength. Same with Martin, no competent special team play to speak of. is this think really gonna be over by 3:00??? for golf?